International Journal of Research in Health Sciences,2017,5,1,6-9. 1Reader, Department of Oral Medicine, Diagnosis & Radiology, Institute of Dental Education & Advance Studies, Gwalior, Madhya Pradesh, INDIA. 2Principal, Professor and Head, Department of Periodontics, Institute of Dental Education and Advance Studies, Gwalior, Madhya Pradesh, INDIA. 3Private Practitioner, Gwalior, Madhya Pradesh 4Tutor, Institute of Dental Education & Advance Studies, Gwalior, Madhya Pradesh, INDIA. The Stafne defect is thought to be a normal anatomical variant, as the depression is created by ectopic salivary gland tissue associated with the submandibular gland and does not represent a pathologic lesion as such. It is a classed as a pseudo cyst, since there is no epithelial lining or fluid content. 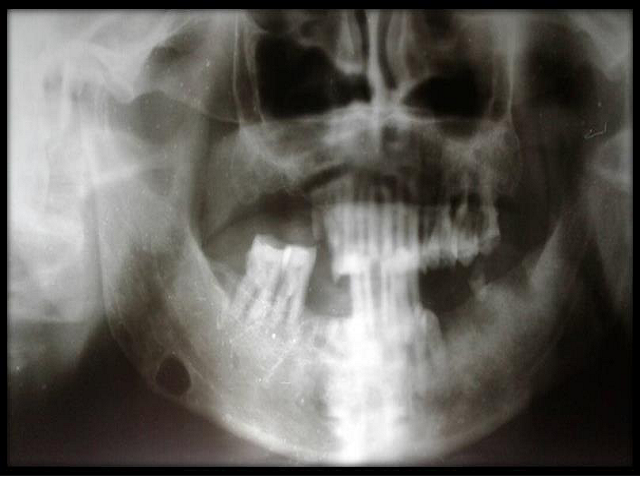 This defect is usually considered with other cysts of the jaws, since it can be mistaken for such on a radiograph. It is usually asymptomatic. Medical imaging such as traditional radiography or computed tomography is required to demonstrate the defect. Usually the defect is unilateral, but occasionally can be bilateral. We report a case of Stafne cyst in an 80 year old male.